We are the manufacturer and exporter of Concrete Paver Machine,Coimbatore,Tamil nadu, India. This results in better compaction more consistent aggregate dispersion as well as reducing fatigue on the mould and machine. 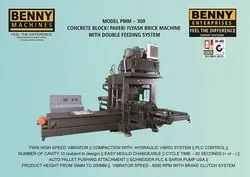 Looking for Paver Block Plant ?